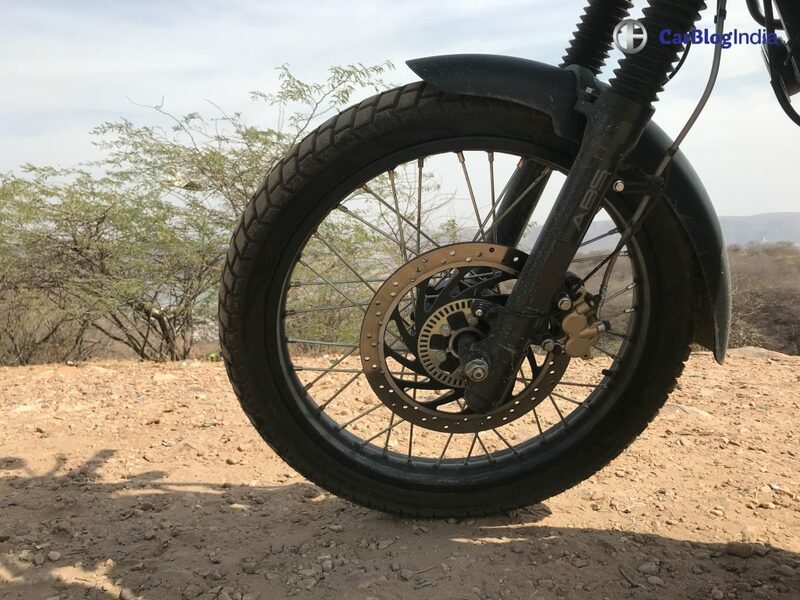 Adventure Motorcycles are not at all meant for the city commuting. People have started using such bikes for their daily life, for travelling to their offices or to the nearby grocery store. These motorcycles are meant to be taken on long-long stretches or out in the wild. 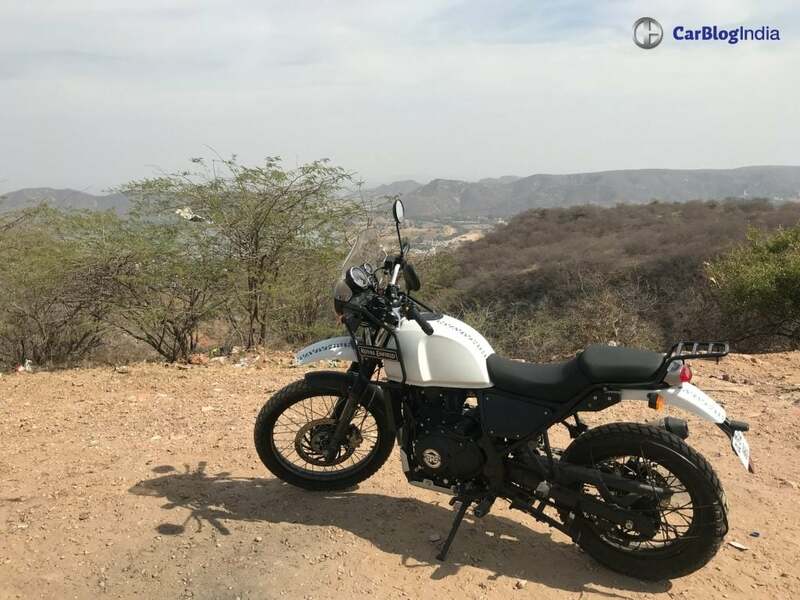 To live up to what I just said above, I had to take the Royal Enfield Himalayan out somewhere. 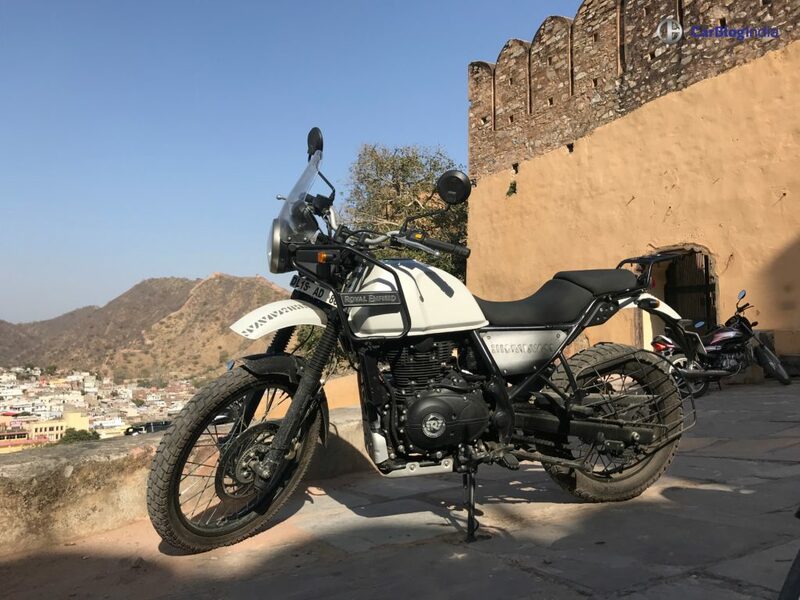 Taking the Himalayan for an 80-km round trip to the office, was not enough for the bike. It’s like putting it on a leash. My first ever road trip from Delhi got me a bit of thinking. Finally, I decided to visit the Pink City, 280 kms from here, a 4 and a half hour journey. The starting time was chosen to be 5 AM, which would easily let me pass the NCR traffic, which usually starts at 7 AM. 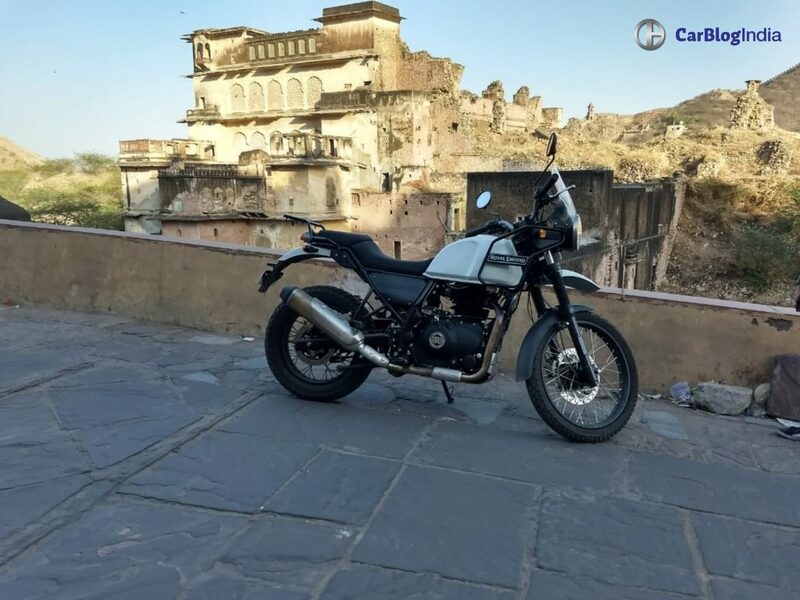 In the never-ending winter of Delhi, the bike cranked up in the first start. 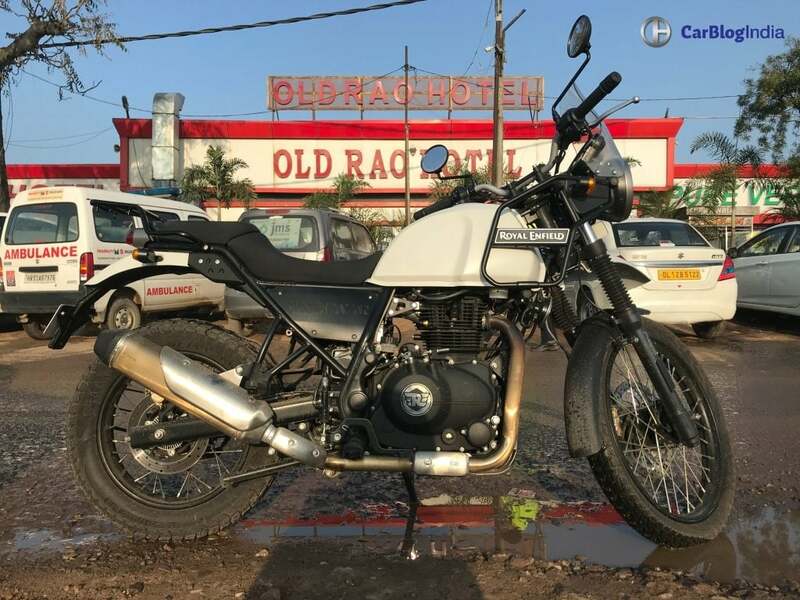 Despite the engine being cold, Himalayan took no time, telling me that it was eagerly waiting to go. That’s the very first thing I adore about this bike. The headlamps, I must say, were well illuminated and even in pitch dark, I did not miss a spot or two. Actually, for some time, I was comfortable even without high-beam. I decided my first halt would be Old Rao’s hotel, a well-known place, outside Gurgaon. Himalayan took me around 1 and a half hour to reach the place, cutting the ETA by Google Maps. One of the other things that I liked about this bike, is oodles of torque supplied by the engine. Picking up from as low as the 3rd gear on 20-25 km/hr, it did fairly well. The acceleration is quite brisk, keeping me pleased all the time. The exhaust note on the bike was different than the other RE models. The meaty exhaust was keeping me enthusiastic all the time and not annoying like that of an old Bullet. 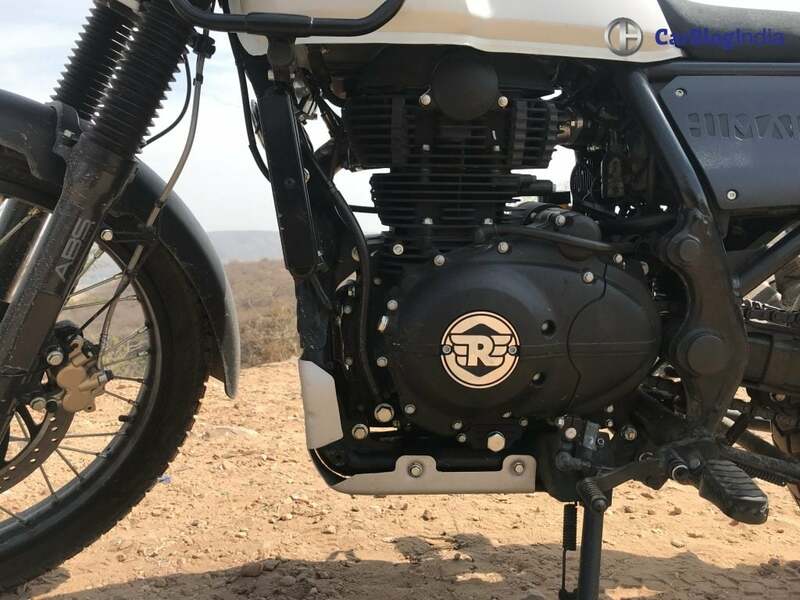 Thanks to the inclusion of fuel-injection on the Himalayan, it aided in keeping the acceleration energetic. The throttles were smooth and better than the BS-3 one, which I had ridden once. Also, the engine was more refined than earlier. After a break of 20-25 mins, I started my NH-8 journey. 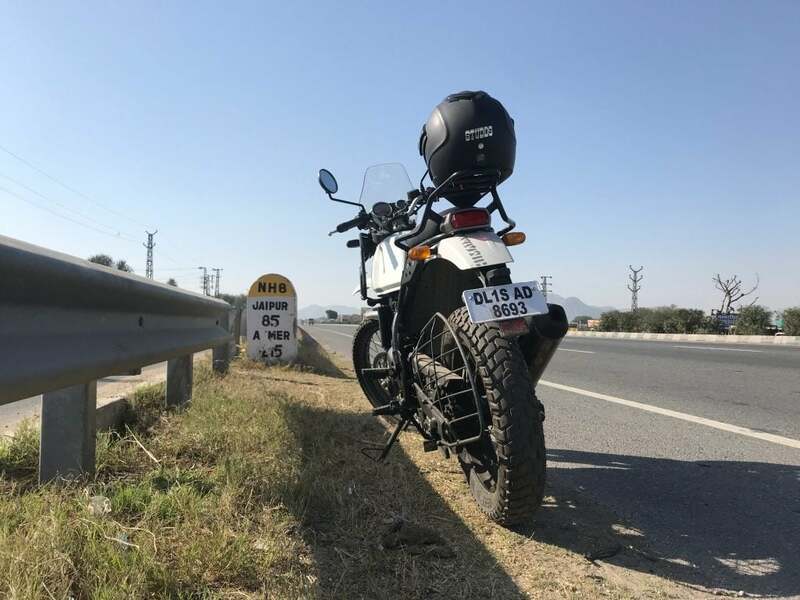 I decided to try cruising Himalayan at 100 km/hr so that the engine is at ease and maintains the mileage. In 4th gear, I could easily cross 100 km/hr. Despite not offering a 6th gear on a 411cc bike, it did not trouble a bit cruising at 5000-5500 RPM all the time. Probably, one of the very few powerful bikes that are good enough without a 6th gear. 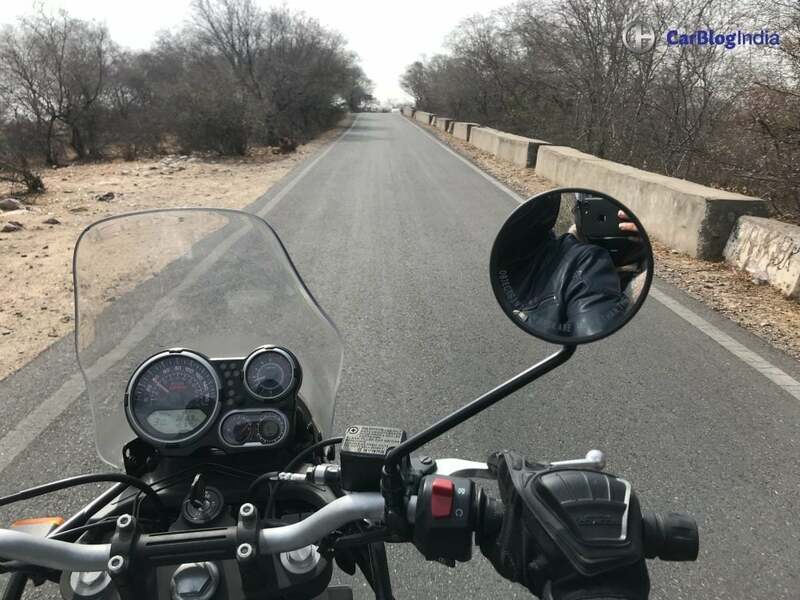 Cruising at 100 km/hr, I stopped around 85 kms before Jaipur. 150 Kms straight on the bike and my back was not even a bit aching. My bottom was well rested on the comfortable long seat, that actually was like a Sofa. Himalayan has checked the ‘Comfort’ box perfectly. By around 1030, I started entering Jaipur city-limits. The narrow roads started and thanks to its acceleration prowess, overtaking seemed like a piece of cake. My speed came down to 60 km/hr on an average, which I covered comfortably on the 5th gear. Forgetting a point here. On the highways, I had some encounters of sudden braking because of a cow suddenly coming on the road or a truck swerving in my lane. Frankly, the bite of the brakes was average, not ‘right-on’. The dual-channel ABS prevented from locking the tires, which was reassuring. 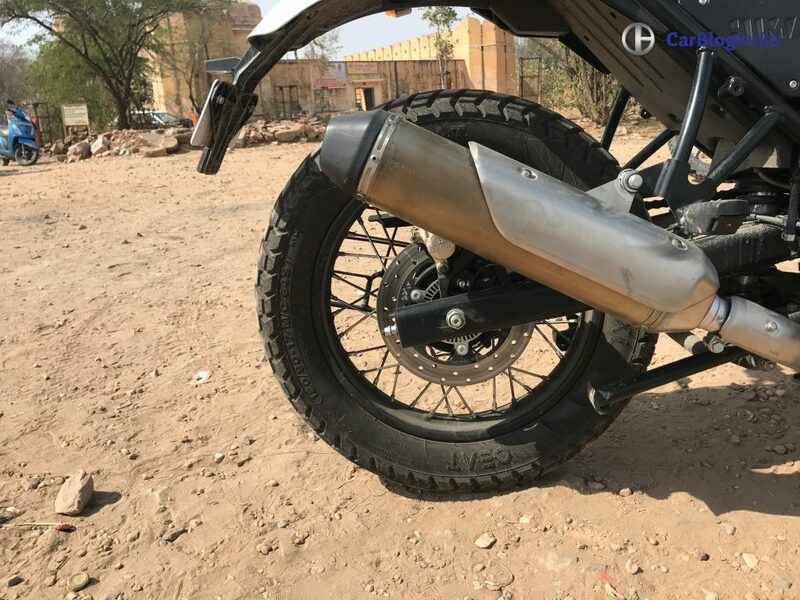 But sudden braking from 100 km/hr was actually a bit risky as the Himalayan took a considerable time to come to 20-30 mark. So, I was staying in the main city, nearby to Old Jaipur or the original Pink City. On reaching home, a couple of stretches and some piping hot Tandoori chai, got me refreshed instantly. 280 kms done and a bit exhausted, but without a backache or a bottom ache. I narrowed down by must go places to Amer Fort, Nahargarh Fort, Hawa Mahal and Jal Mahal. Similarly, I narrowed down by must-have dishes to Laal Maas and Onion Kachori. Amer Fort was up on a hill, around 25 kms one side journey. By the time I left, the city traffic increased and for nearly 9-10 kms, I was juggling between the first and second gear. Despite weighing 182 kgs, it could be manoeuvred easily. Zip-zapping on a Royal Enfield is not something that I had in mind. 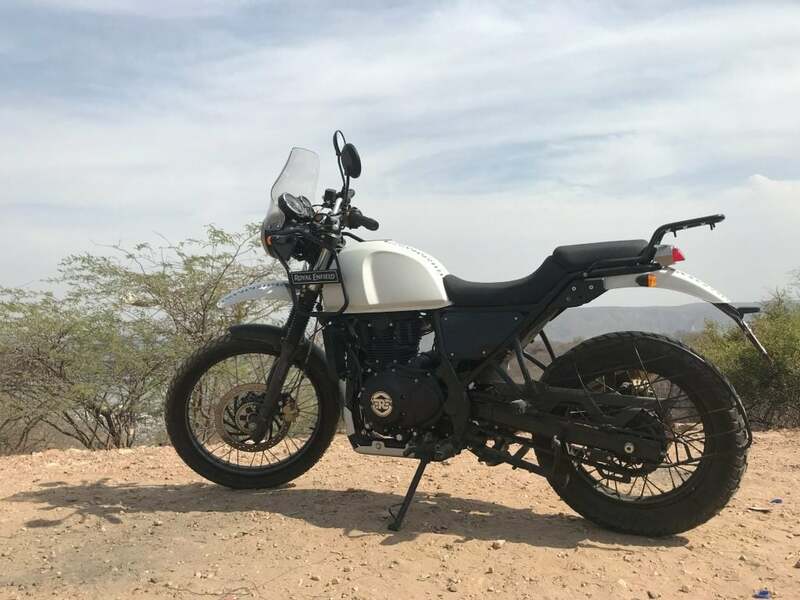 Himalayan has got to be one of the most nimble bikes from the family. The road to the fort had around a kilometre in steep incline, which Himalayan conquered easily. From 10 km/hr, I could pick it up on the 2nd gear, without much trouble. Thanks to the longer gearing ratios, I could also pull it easily up to 40 km/hr on the 1st gear itself. Coming down the steep slope was also not difficult, thanks to its short wheelbase and thus, decent handling. 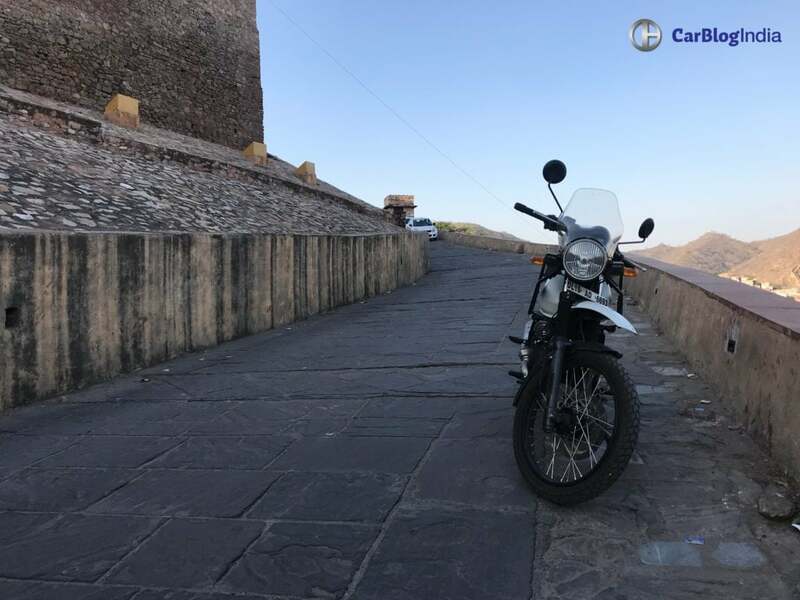 The next day, I left early for Nahargarh fort. The roads were windy, known as ‘Ghats’ in Bombay slang. Again, Himalayan showed no signs of regret, kept me completely happy. The location was great and thus I began clicking some pictures of the bike, actually a lot of pictures. I resumed by downhill ride only to notice the time that Royal Enfield provided on the instrument cluster. 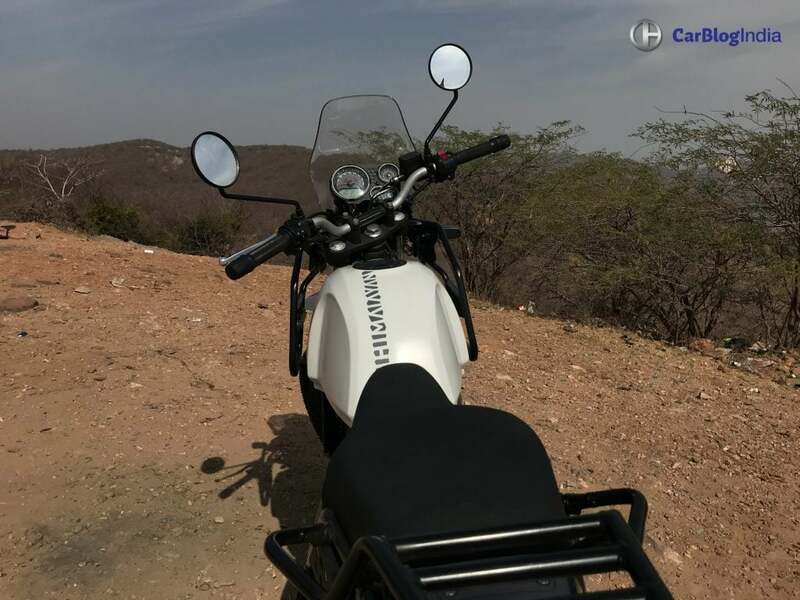 Unlike the other RE bikes, Himalayan had an informative cluster and a neat one too. A large analogue speedometer, a fuel indicator, RPM meter and a small digital display constituted the cluster. The digital screen displayed the time, trip meter, odometer and the gear indicator. 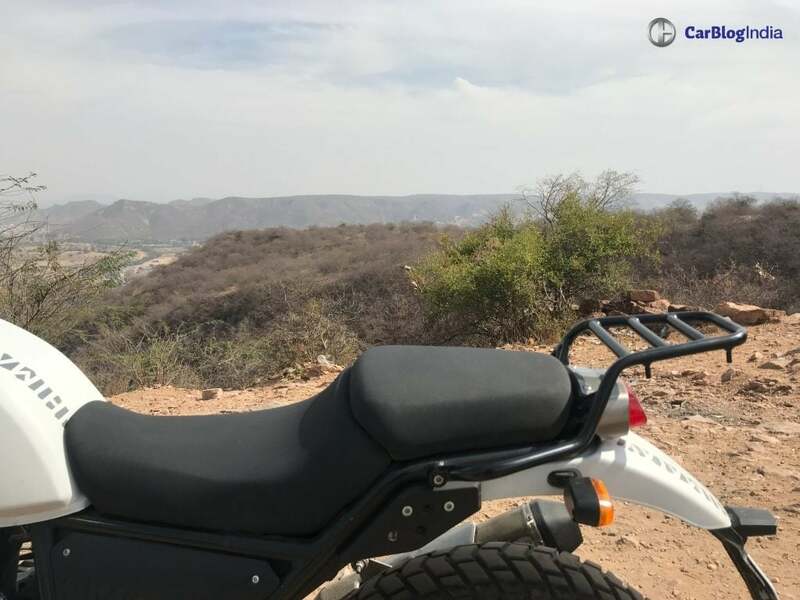 Also, for off-roading adventures in the jungles, Himalayan offered a compass, which worked right. As I reached back to my friend’s place to pack up and get going, it was 3 PM already. I had to complete the highway run before the sun set in, because of a minor glare problem that I have. Now was the time to speed up things a bit. The cruising speed was set to 120 km/hr compiled with some aggressive riding ensured that I reached Gurgaon city limits by 6:30 PM. Near Manesar, the roads were much damaged to my chagrin. Himalayan to the rescue, swallowed the potholes easily and gave minimal jerks to my back. As I reached home, I was comforted that my trip was good because of good food, good roads and of course, the Himalayan. Lastly, the bike delivered 30 kmpl on the highways. In the city, it fell down to 25-26 kmpl. With a huge fuel tank of 15 Litres, I was able to cover nearly 400 kms at one go.